Steve Nener from The Water’s Edge designed and built this beautiful outdoor retreat for his clients’ new home. A private paradise was requested by the clients – a place where they could entertain and relax with family and friends – and The Water’s Edge achieved this with an exemplary design. 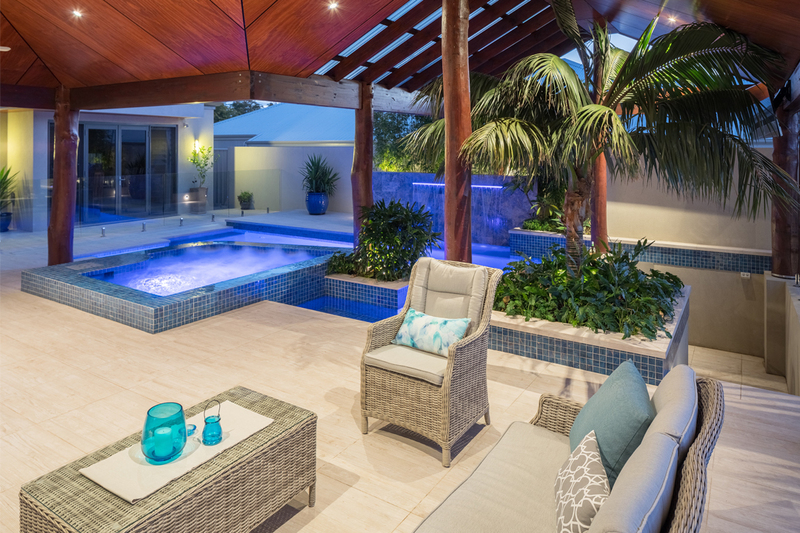 The space features a swim-up bar, a spa and an alfresco with an array of tropical foliage, which creates the oasis theme that the clients desired. Porcelain paving was chosen to be cohesive with the interior of the home. Glass mosaic tiles were selected for the spa and the pool’s waterline, as well as the swim-up bar’s underwater stools. 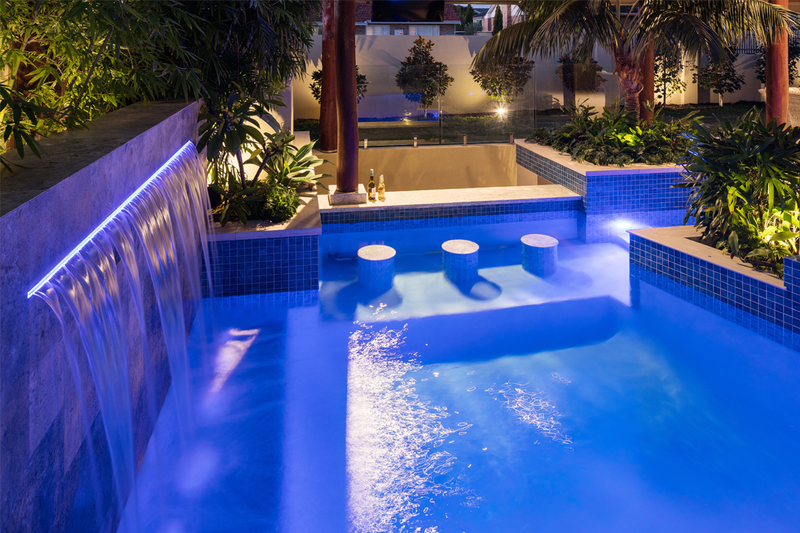 A waterfall feature cascades into the pool from a large statement wall for a beautiful and relaxing atmosphere. Nener installed a pool cover from Cleardeck Systems Ltd, an AstralPool Connect 10 automation system and a solarpanel heating system to ensure the pool will be easy to maintain and cost-effective for years to come. 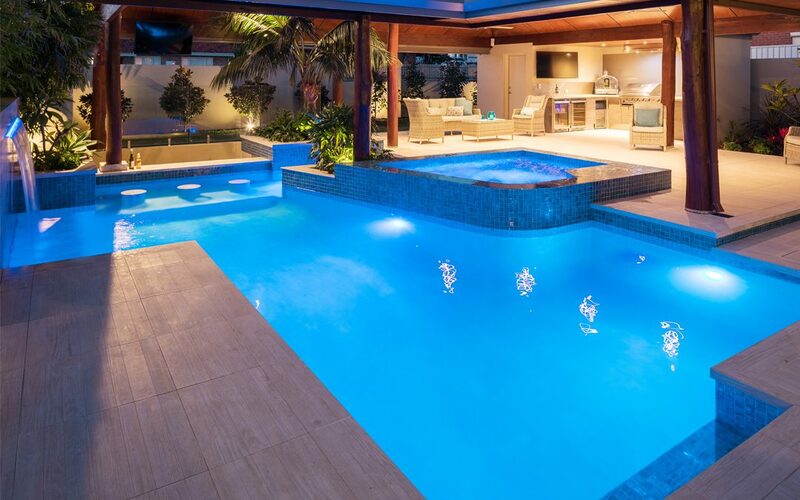 Four niche LED underwater lights ensure the clients can enjoy their pool at any time. With more than 30 years of experience, The Water’s Edge is an award-winning family-owned and -operated business that specialises in custom-made swimming pools to suit any space. The father-and-son team have been working together for more than ten years. They are qualified in carpentry, project management, landscaping, renovation, logistics, holistic design, estimations and supply management. 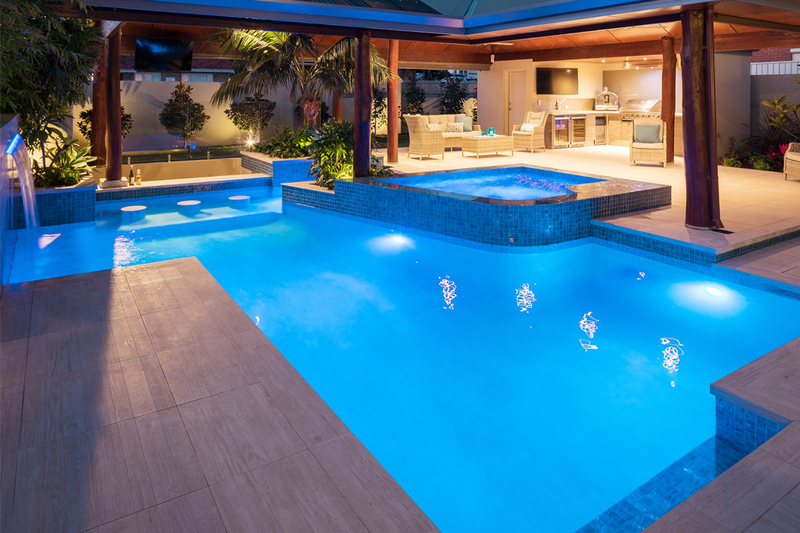 As a member of the Housing Industry Association (HIA) and the Swimming Pool and Spa Association of Western Australia (SPASA), the company is committed to high-quality service and workmanship.